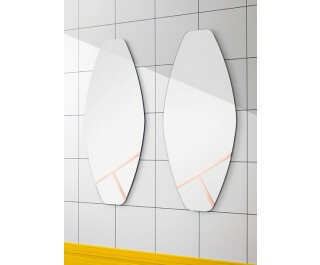 Palmiro is a pair of mirrors with a contrasting appearance. One is slim, tall and agile. The other is bold, short and chubby. But both are decorated with copper elements to make every glance a special one.